Kingsnakes get their name because they eat other snakes, including venomous snakes like copperheads, cottonmouths, and rattlesnakes. They also eat lots of other kinds of prey, including non-venomous snakes, lizards, turtle eggs, and small mammals. You often hear people say that kingsnakes are resistant or immune to the venom of copperheads, cottonmouths, and rattlesnakes. There is a subtle difference between the meaning of these two words. Resistance is any physiological ability to tolerate or counteract the effects of a toxin or disease. Like many things in biology, resistance is not an all-or-nothing status, but a gradient. High enough resistance can result in immunity, where the toxin or disease has negligible or no effects. It is not how kingsnake resistance to viper venom works. Kingsnake resistance is evolved rather than acquired. This means that kingsnakes are born resistant to venom. As far as we know, their resistance levels are fixed for life & don’t change with age or exposure. 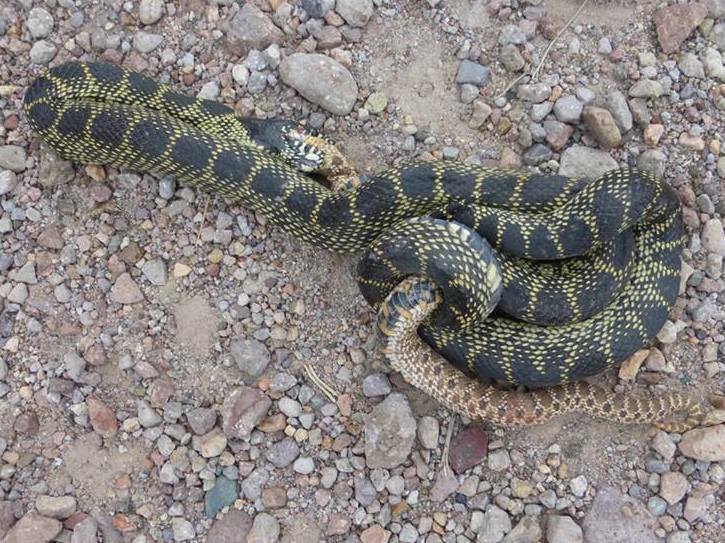 This has happened over a long time through natural selection, over many generations of kingsnakes. We don't actually have a very exact understanding of the physiological and molecular mechanisms behind how kingsnakes resist the toxic effects of viper venom. At least some of their resistance comes from antibodies—chemicals in their blood that interfere with the venom—because mice injected with kingsnake blood survive viper venom better than those that aren't, and the chemical composition of kingsnake blood changes after exposure to viper venom. Any time a weapon appears, there is potential for counter-weapons (i.e. resistance and immunity) to appear in response. This happens through a process called a co-evolutionary arms race2. Just as the United States and the Soviet Union were involved in an arms race centered around nuclear weapons during the Cold War, so are venomous snakes and their prey & predators involved in arms races centered around their primary weapon—venom. A major difference is that, unlike nations or humans, animals cannot plan for the future and decide to invest more energy in research & development of novel or better weapons technology for future generations. Instead, co-evolutionary arms races happen through natural selection. What start out as tiny variations in toxin resistance can be magnified over many generations. When vipers were first evolving their front fangs, defensive bites became a new option for them. At first, their predators were probably not very good at resisting the effects of the venom, especially if the predator’s physiology was similar to that of their prey, and venom would have made a very good defense mechanism. Vipers would sometimes be killed and eaten, but many predators later died from their bites. 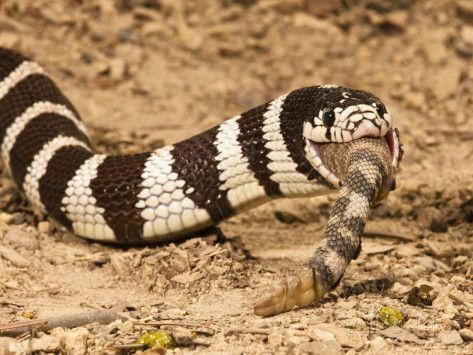 Kingsnake predators that were slightly better able to tolerate the effects of the venom were more likely to survive. 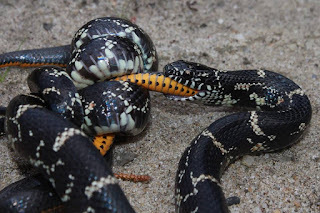 Eventually, all the kingsnakes without these venom resistance traits had been killed by vipers that they tried to eat, and only the resistant ones remained. On the other side, vipers that had venom with toxins that were, for example, slightly more painful or fast-acting, might have been more likely to survive a predatory attack. Thus, the arms race escalates. 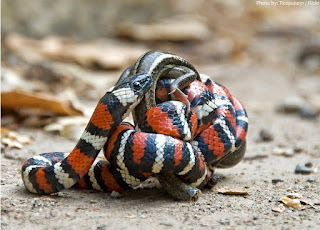 Vipers also exhibit flipping, jerking, “body bridging” and other escape behaviors as a defense against kingsnakes—suggesting, since they do not try to bite kingsnakes in defense, that their venom is essentially useless as an anti-kingsnake defense mechanism by now and that kingsnakes have “won” this arms race. This is why kingsnakes are immune to the venom of copperheads, cottonmouths, and North American rattlesnakes, but not to the venom of, for example, king cobras or black mambas. 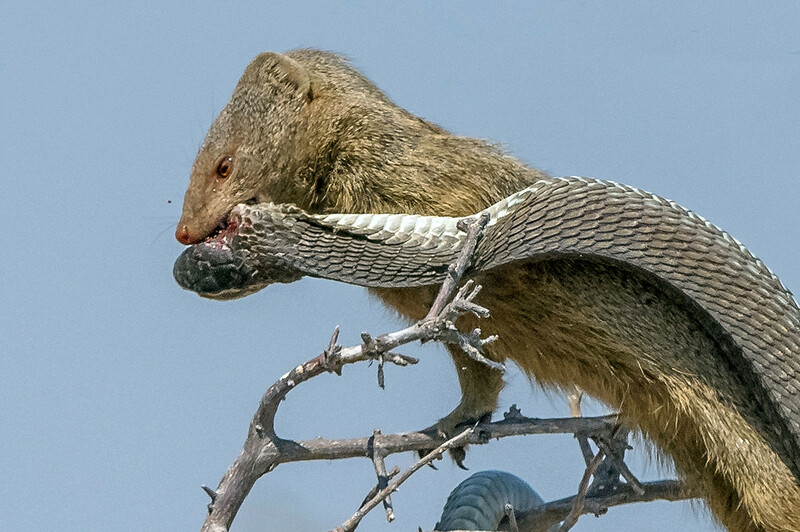 Because they live on different continents, there has never been an opportunity for kingsnakes and black mambas to enter into a co-evolutionary arms race (although both prey and predators of black mambas in Africa, such as honey badgers, and of king cobras in India, such as mongeese, have probably accomplished much the same thing). Kingsnakes also eat coralsnakes, but amazingly they are not immune to the venom of Eastern Coralsnakes (Micrurus fulvius)—kingsnakes injected with coralsnake venom die quickly, and kingsnake blood is 0% effective at neutralizing venom proteins from coralsnakes. Presumably they are able to catch and consume coralsnakes without getting bitten. This could be because coralsnakes often eat other snakes, so perhaps their venom is more difficult for kingsnakes to evolve resistance against. Or, perhaps coralsnakes are rare or dangerous prey for kingsnakes, and it’s possible but not worth it for them to evolve resistance. Not every kingsnake species has been tested against every venom, but we do know that there is variation in which species are immune to which venoms. The only study to compare species in depth injected mice with mixtures of venom & snake blood and measured mouse symptoms and survival. They found that blood from Eastern Kingsnakes (Lampropeltis getula) had the widest spectrum of protection against the venoms tested and was the most effective at neutralizing many rattlesnake venoms, but the least effective against copperhead venom. Blood from kingsnakes from Florida & the Gulf Coast was the most effective at neutralizing the venom of copperheads & cottonmouths. Mole Kingsnake (Lampropeltis calligaster) blood is about 75% as effective at neutralizing Mojave Rattlesnake (Crotalus scutulatus) venom as the blood of Eastern Kingsnakes. Gray-banded Kingsnakes (L. alterna) have moderate neutralization potential against Western Diamondback (C. atrox) venom, but none against Eastern Diamondback (C. adamanteus) venom. Blood from milksnakes (formerly all called L. triangulum) from various locations had intermediate neutralization capacity, with blood from North American milksnakes being about 70% more effective against rattlesnake venom than blood from Central American milksnakes. 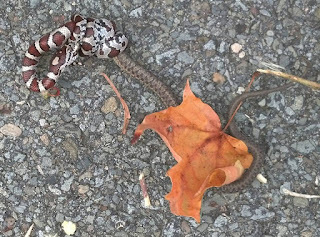 Another study found that an eastern milksnake injected with copperhead venom died, and one injected with pigmy rattlesnake venom had "no noticeable ill effects", but a lack of replication prevents these results from being particularly meaningful. Somewhat surprisingly, blood from Long-nosed Snakes (Rhinocheilus lecontei), Cornsnakes (Pantherophis guttatus), Mussuranas (Clelia clelia), and Japanese Four-lined Ratsnakes (Elaphe quadrivirgata) was also effective at protecting mice from viper venoms, but blood from pinesnakes (Pituophis) and gartersnakes (Thamnophis) was not. Both vipers and elapids appear to have at least some level of resistance to their own venom, although detailed studies are lacking for most species. 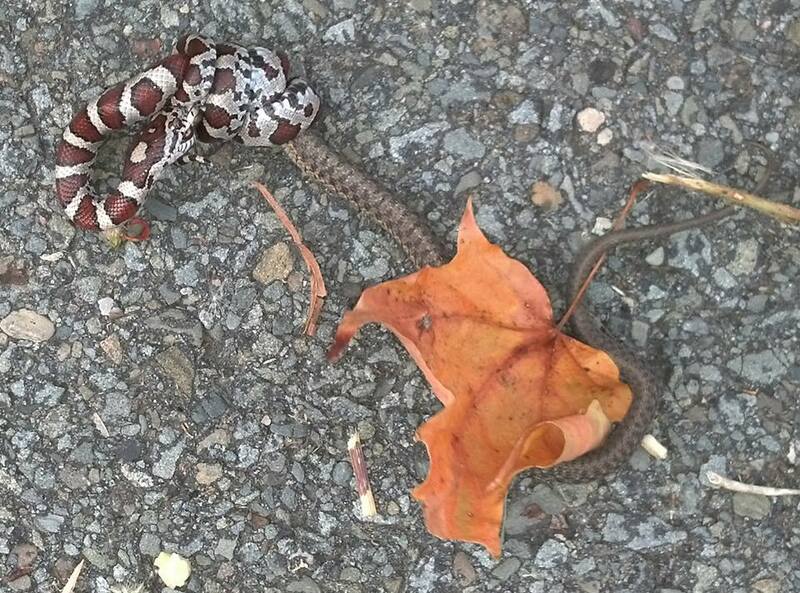 Kingsnakes are just one of many species that have partial immunity or resistance to venom. Hedgehogs, skunks, opossums, and possibly snake-eagles also have resistance to viper venoms, and eels are resistant to sea krait venom. Unlike kingsnakes, we have actually figured out exactly which proteins in opossum blood are responsible for its snake venom neutralization capacity. We also know that mongeese have followed a different route, changing the shape of the toxin targets in their cells rather than putting molecules into their blood to combat the toxins (which means that their immunity cannot be transferred). 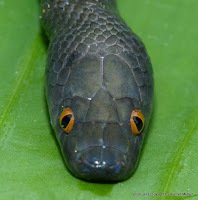 Other predators of venomous snakes, such as indigo snakes (genus Drymarchon), appear to have gotten away with not evolving immunity, although I was unable to find any actual data on physiological responses of indigo snakes to venom, just statements saying they were not resistant, so it's possible that actual tests have not been carried out. 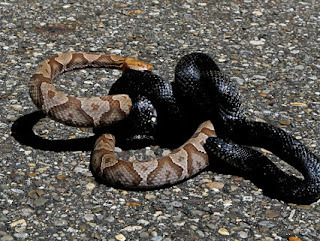 Opossum resistance to copperhead venom probably evolved in a similar way to kingsnake resistance, but vipers are also involved in co-evolutionary arms races with their prey. Many rodent prey of North American vipers are resistant, including wood rats, prairie voles, and ground squirrels. Think of how the U.S. during the Cold War had to balance foreign policy not just with the Soviet Union, but also with other nations. The emerging foreign policy is a compromise, just as the venom that evolves is a compromise of selection pressures from predators and prey. Resistant prey may select for venoms that are better at quickly incapacitating, whereas resistant predators may select for venoms that are less deadly and more painful; it’s difficult to predict exactly what will happen without knowing the exact mechanism of resistance. Sometimes selection from predators and prey may act in the same direction, other times in opposite directions. The details of these processes are what evolutionary biologists study on a day-to-day basis. If you want to know more, I'd suggest chapter 3 of Christie Wilcox's book Venomous, from which I drew while researching & writing this article. Thanks to Connie Wade, Pierson Hill, Alan Cressler, Joe McDonald, Elana Erasmus, and the Los Angeles County Museum of Art [public domain] via Wikimedia Commons for providing their images for this article. Thanks to Laura Connelly for reading a draft of this article. Inspired by Mike Van Valen's "The Ratsnake Mess for Dummies"
Arguably House Snakes are much more of a mess than ratsnakes, which makes sense when you consider that they are they distributed over an area almost 7 times larger, including areas as diverse as the Sahara Desert, Congo Rainforest, Great Rift Valley, East African Savannah, Ethiopian Highlands, Okavango Delta, and Southern African Great Escarpment, and occur in a total of 46 countries, many of which have perennially turbulent political climates. It's no surprise that the number of herpetologists working in Africa is dwarfed by the number working in North America, and the vast majority of these people have not been of African descent (although that is beginning to slowly change). northernmost part of the range in Morocco. 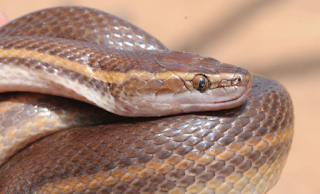 What is surprising is that African House Snakes are popular in the pet trade and are important model organisms for studies of development, behavior, hormones and reproductive biology, yet we still know almost nothing about them in the wild, even though they are common and tolerant of anthropogenically-disturbed environments. 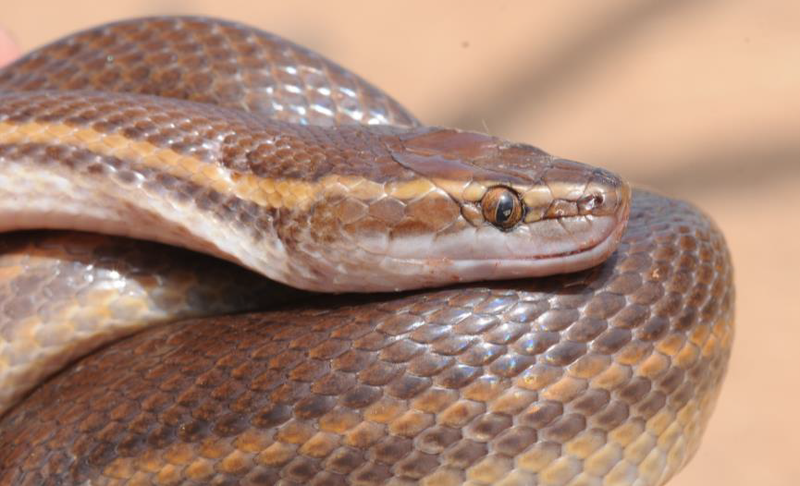 When most people think of African House Snakes, the scientific name that probably comes to mind is Lamprophis fuliginosus. In this article, I'll try to explain why this well-known species had to be moved into the genus Boaedon in 2011, and why it will probably be split up into multiple species sometime in the (hopefully-not-too-distant) future. 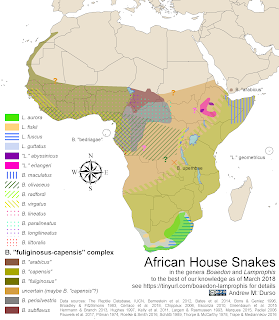 The correct scientific name of many African House Snakes in captive breeding colonies may be difficult or impossible to determine, especially because most people don't know which part of Africa their House Snakes originally came from (and they may have since been bred with House Snakes from other parts of Africa). focus on "house snakes" (genera Boaedon & Lamprophis). that I didn't try to represent much of what's known. For more detailed trees, see the Kelly, Greenbaum, & Trape papers. Green are species lacking genetic data that can't be placed yet. Red stars are multiple cryptic species (there could be more). To start, let's get a little taxonomic perspective. Pyron et al. 's 2011 article firmly established the family Lamprophiidae for a large group of mostly African snakes (321 species) formerly classified as colubrids but actually more closely-related to elapids (more detail here and here). 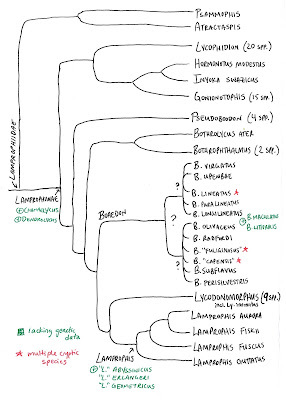 They also found support for seven subfamilies of lamprophiids, of which only one, Lamprophiinae, concerns us today. There are currently 78 species placed in Lamprophiinae1, of which 25 are or have been at some point commonly called "House Snakes" and/or placed in the genus Lamprophis. Only one of these is Boaedon (formerly Lamprophis) fuliginosus, but in order to understand it, we'll need to take a closer look at the others. 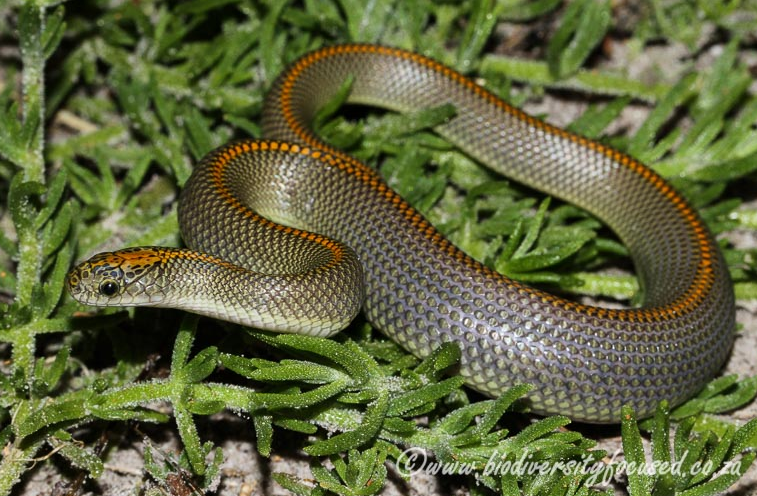 A great deal of clarity was gained from the taxonomic actions of Chris Kelly & co-authors in 2011, who split the species in the genus Lamprophis up into several genera, depending on their relationships to other genera of lamprophiines. Even this study was only able to include data on ~40% of the species of lamprophiine snakes, so it's probable that surprises and new discoveries still await us. There are currently 12 genera of lamprophiines. 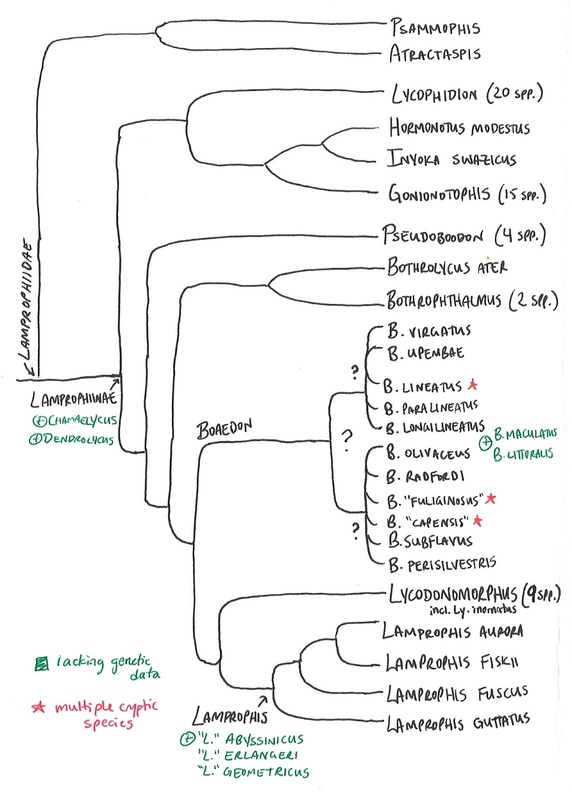 Two of these, Chamaelycus (4 species) and Dendrolycus (1 species), have not been included in any molecular phylogenetic trees, so we're going to ignore them for now. The general relationships of the other 10 genera have been sketched out, and they're divided into two groups of roughly equal diversity. The first includes the African Wolf Snakes (Lycophidion; 20 species) and the African File Snakes (Gonionotophis, including the former genus Mehelya; 15 species), as well as two monotypic genera: Hormonotus modestus (Uganda House Snake or Yellow Forest Snake) and Inyoka swazicus (Swaziland House Snake or Swazi Rock Snake). Both of these were originally described as species of Lamprophis. Hormonotus left the genus in the 19th century, and Inyoka was created for swazicus by Kelly et al. 2011 (it means ‘snake’ in the Nguni language group, the main language group in Swaziland). When it was originally described in 1970, swazicus was thought to be intermediate between Lamprophis and Boaedon, both of which were in use at the time, but it turns out that the resemblance is superficial and it's closely related to neither. That takes care of the first two of our 25 House Snake species, which aren't really House Snakes at all. The second group of lamprophiines contains six genera. Three of these are rather small and pretty straightforward, if obscure: Ethiopian Mountain Snakes (Pseudoboodon; 4 species), Günther's Black Snake (Bothrolycus ater), and Red-Black Striped Snakes (Bothrophthalmus; 2 species). None of these have ever been called House Snakes or placed in Lamprophis2, and they are clearly morphologically distinct. A fourth genus, African Water Snakes (Lycodonomorphus; 9 species), includes two species that were formerly thought of as House Snakes: Ly. inornatus and Ly. rufulus (the second only briefly). Ly. inornatus is interesting because it's terrestrial, unlike the other species of Lycodonomorphus, which is part of why it was classified in Lamprophis for so long. The really important finding of Kelly et al. 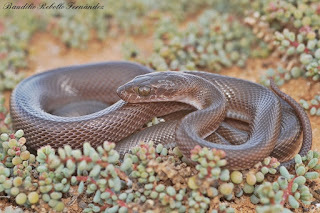 2011 was that Lycodonomorphus split up the remaining members of Lamprophis into two groups. The southern African group containing Lamprophis aurora got to keep the name Lamprophis, because L. aurora was the first species to be placed in Lamprophis (it is the "type species" of the genus). It got to bring along its close relatives L. fiskii, L. fuscus, and L. guttatus, all of which are small house snakes with attractive patterns, sometimes referred to as "dwarf house snakes", that are popular in the pet trade despite being relatively poorly known in the wild. The other group needed a new name. Fortunately, Boaedon had already been used to refer to this group for a long time, from the 1850s to the 1980s. Four species in Kelly's study got "new" names: B. olivaceus, B. virgatus, B. lineatus, and B. fuliginosus. 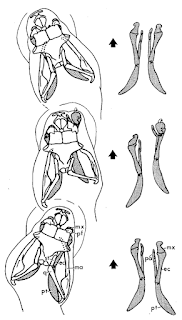 Additionally, Kelly included B. maculatus in this group, because its morphology is similar to the other four species, but since we have no DNA evidence yet, this could change. 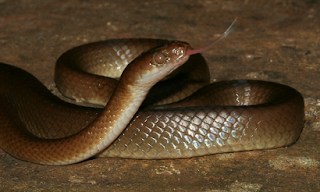 These are sometimes informally called the "brown house snakes", in reference to their generally drabber patterns compared with the "dwarf house snakes". Morphological differences between these two genera include that Boaedon have enlarged anterior teeth on both the upper & lower jaw, and that the dorsal scales of Boaedon have apical pits, whereas those of Lamprophis do not. Three other species get to stick around in Lamprophis for now: "L." abyssinicus and "L." erlangeri from the Ethiopian highlands, and "L." geometricus from the Seychelles. Probably once we get genetic data from these they will be moved into another genus, possibly Boaedon. Boaedon species, and the geographic diversity of the samples. Now, the problems aren't over. 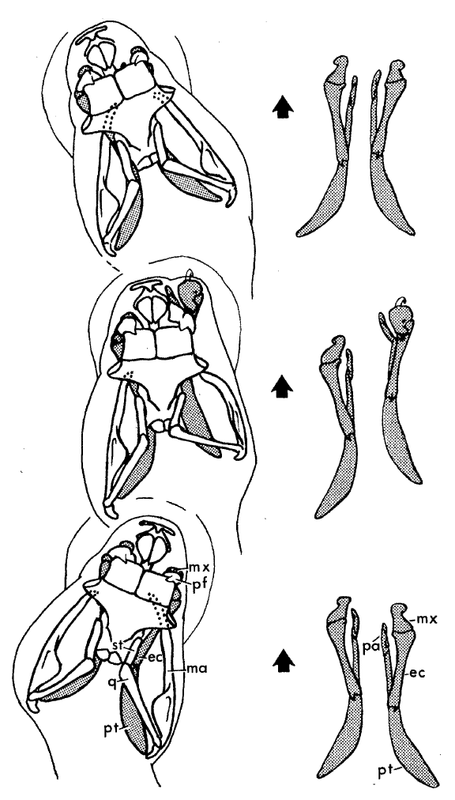 The thing is that, in Kelly's study, Boaedon "fuliginosus" was split up by B. olivaceus, which is clearly a good species and it makes no sense to sink it into fuliginosus, as well as by B. lineatus, which has a more complex relationship with B. "fuliginosus"3. There are at least seven lineages of Boaedon "fuliginosus" (probably more than 10), thus we can expect that at least 7-10 cryptic species are waiting to be described within this species complex. To quote Kelly et al. : "There have been several attempts to make sense of the intricate patterns of morphological variation in this complex, generally with only limited success."4. A handful of subspecies have been named based on morphology (e.g. mentalis in Namibia, angolensis from southeastern Angola to the southern DRC, arabicus in Yemen, bedriagae on the islands of São Tomé and Príncipe), some of which will probably eventually turn out to be used for full species. Which, if any, of these future species will get to keep the name fuliginosus is not clear, because these decisions are made based on the location of the original specimen, called the "type locality". The type locality for L. fuliginosus was originally and incorrectly reported in 1827 as "Java". People were more careless back then. There is also no clear type specimen; at one point, one was designated, but it was lost by 1965. The type locality was subsequently corrected to the more accurate but still completely unhelpful "Africa" in 1962, and further restricted to either South Africa or Ghana, but which one isn't clear. Finally, there is the issue of Boaedon "capensis", a putative species described in 1997 by Hughes and occurring east of a hazy and ill-defined zone angling northeast-southwest from the Gulf of Aden along the Great Rift Valley, then turning east and extending to the Atlantic Ocean possibly near the Angola-Namibia border, but potentially as far north as the mouth of the Congo River and thus also including three of the largest and most poorly-surveyed countries in Africa: Angola, the Democratic Republic of the Congo, and Sudan (including the still relatively new country of South Sudan). This name effectively replaces fuliginosus in eastern and southern Africa, but the exact boundaries are not remotely known, and it will probably turn out that both species are non-mutually-exclusive complexes of cryptic species. Because of the type locality confusion of fuliginosus, it could even turn out that both names (fuliginosus and capensis) are the same southern African species5, and that the western and central African species will need new names. 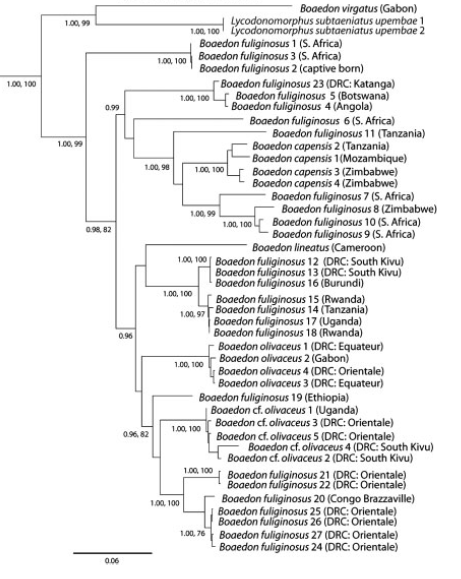 Recent discoveries have begun the process of adding to the number of species of Boaedon: in 2015, Eli Greenbaum and colleagues named a new species, B. radfordi, from the Albertine Rift in the eastern DRC and Uganda (which was formerly confused with B. olivaceus), and also unexpectedly found that a subspecies of Lycodonomorphus subtaeniatus was actually an undescribed species of Boaedon from a lake in south-central DRC, named B. upembae, that is most closely related to B. virgatus. They wisely refrained from making premature splits to the fuliginosus/capensis complex, stating that "Given the complicated taxonomic history and nebulous type locality for B. fuliginosus, substantial additional sampling and morphometric analyses are needed to assign...B. fuliginosus lineages to available names and to describe new species." They did, however, show that divergence among the various lineages currently referred to as B. fuliginosus could have happened as long as 21 million years ago. In 2016, Trape & Mediannikov examined 1,370 specimens from eight countries and described 5 new species of Boaedon from central Africa, bringing the total number of species to 13 (including capensis and the certainly paraphyletic "fuliginosus"). Together, two of these, B. perisilvestris and B. subflavus, seem to effectively separate fuliginosus (western Cameroon and west) and capensis (Angola-DRC-S.Sudan and east), having been split from the middle of the species complex's geographic range; but many sources still use fuliginosus for populations east of the distribution of perisilvestris and subflavus. Trape & Mediannikov seem comfortable with the idea of restricting B. fuliginosus to West Africa, and suggest that a blackish color without clear lines on the head could distinguish the species there, despite the absence of any consistent scale characteristics6. Right now, it's impossible to say how the 5 species described by Trape & Mediannikov fit with those described by Greenbaum or with the clades outlines in Kelly, because they used the 16S RNA gene, whereas the other two studies used three different genes (cyt-b, ND4, and c-mos). So, we seem to be approaching stability, but the most problematic one remaining is the one everybody's heard of, knows and loves. 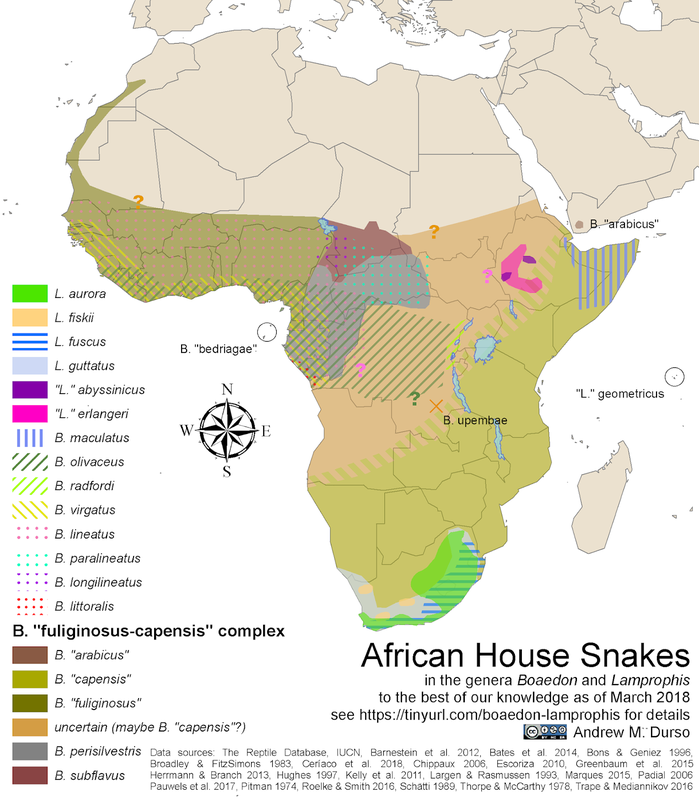 Trape's latest definition notwithstanding, between fuliginosus and capensis, African House Snakes in the strictest sense occur in every country in Africa except for Algeria, Tunisia, Libya, Egypt, Sudan, and offshore countries like Madagascar, the Comoros, and the Seychelles7. At the moment, the L. "fuliginosus" complex is still one of the most widespread snake species in the world. 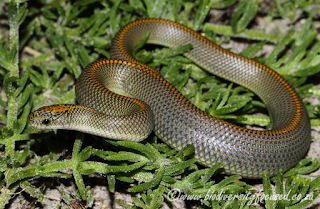 Whether fuliginosus goes away completely or remains, it won't be going back to Lamprophis unless Lycodonomorphus does too, or unless new genomic data overwhelm the signals found in the genes used by Kelly's, Greenbaum's, & Trape's studies. There's a recurring debate in taxonomy about whether we should attempt to preserve widely-used and well-known names like fuliginosus, since people are probably going to continue using them anyway, or do away with "the burden of heritage" and adhere strictly to a system that discards 150-year-old names if they prove inconvenient or impossible to keep, at the risk of creating confusion & resentment. Proponents of the second argue that eventually people won't remember the old names, and I think they're right: I was born in the 1980s and didn't realize that Lamprophis fuliginosus was called Boaedon for 130 years beforehand; when I learned its name in ~1999, it was as Lamprophis fuliginosus and that was that. These changes might seem radical, but whenever possible they reinstate older names, like Boaedon, the disuse of which might seem radical to an older generation. There's further debate about the utility of splitting up cryptic species complexes, especially if it makes it almost impossible to identify which species you're looking at by morphology alone. 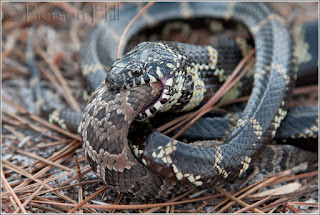 These same issues are recapitulated in the North American ratsnake taxonomic "mess", North American slimy salamanders, egg-eating snakes, and in countless other species groups around the world. When I was writing this article, I thought more than once that I should just wait for a better time when it's all stabilized, but actually there's never a good time; we're always learning more. Ultimately, fleshing out and revising phylogenies and taxonomies will teach us a lot about biodiversity, evolution, and human nature. My advice is to try to be open-minded rather than bitter and ugly when discussing them. There is no "right" or "wrong", there are just rules we've (mostly) agreed to follow. It's an exciting time. If this group of snakes interests you, watch the labs of Christopher Kelly, Jakob Hallermann, Aaron Bauer, and Jean-François Trape for future research that should make much of this article obsolete. Thanks to Peter Uetz for his advice on literature, and to Konrad Mebert, Cliff & Suretha Dorse, and Dan Rosenberg for the use of their photos. Brassine, M. C., C. M. R. Kelly, N. P. Barker, and M. H. Villet. 2008. 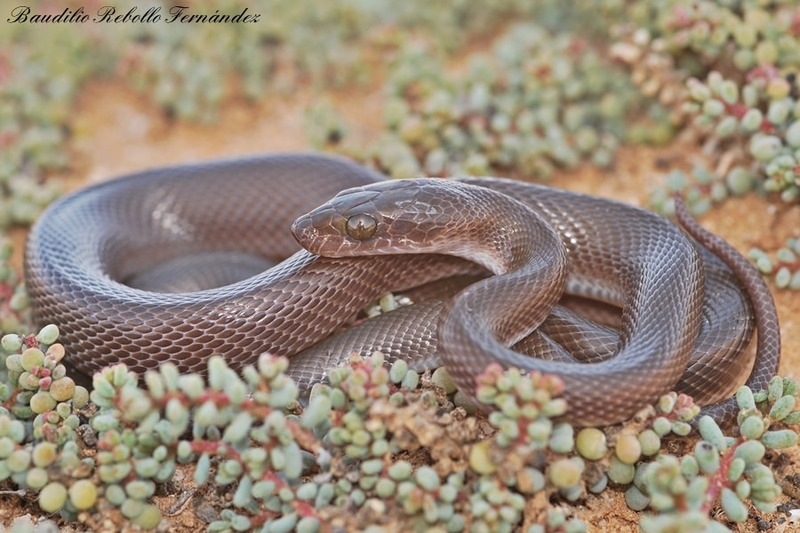 The phylogenetics of the Lamprophis fuliginosus/capensis species complex in southern Africa. Page 13 Proceedings of the 9th Conference of the Herpetological Association of Africa, Sterkfontein Dam, South Africa. Ceríaco, L. M., M. P. Marques, and A. M. Bauer. 2018. 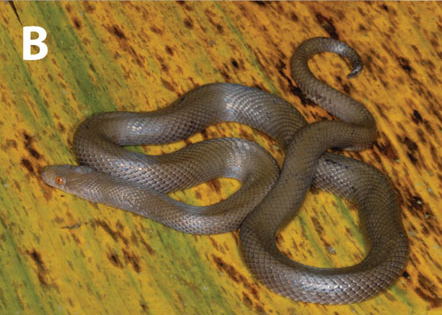 Miscellanea Herpetologica Sanctithomae, with a provisional checklist of the terrestrial herpetofauna of São Tomé, Príncipe and Annobon islands. Zootaxa 4387:91-108. Roux-Estève, R. and J. Guibé. 1965. 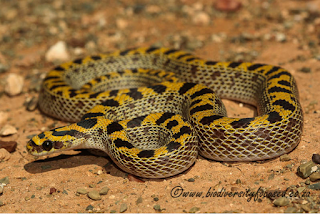 Contribution a l’étude du genre Boaedon (Serpentes, Colubridae). Bulletin du Muséum National d’Histoire Naturelle, Paris 36:761-774. Roux-Estève, R. and J. Guibé. 1965. Étude comparée de Boaedon fuliginosus (Boié) et B. lineatus D. et B. (Ophidiens). Bulletin de l’Institut Fondamental d’Afrique Noire, Dakar 27A:397-409. Visser, J. 1979. 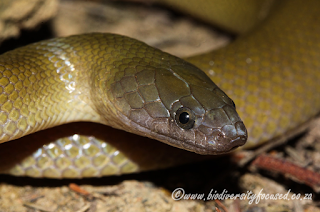 Notes on two rare house snakes – Part 1. Lamprophis fiskii Boulenger (1887) and L. swazicus Schaefer (1970). Journal of the Herpetological Association of Africa 19:10-13. Visser, J. 1979. 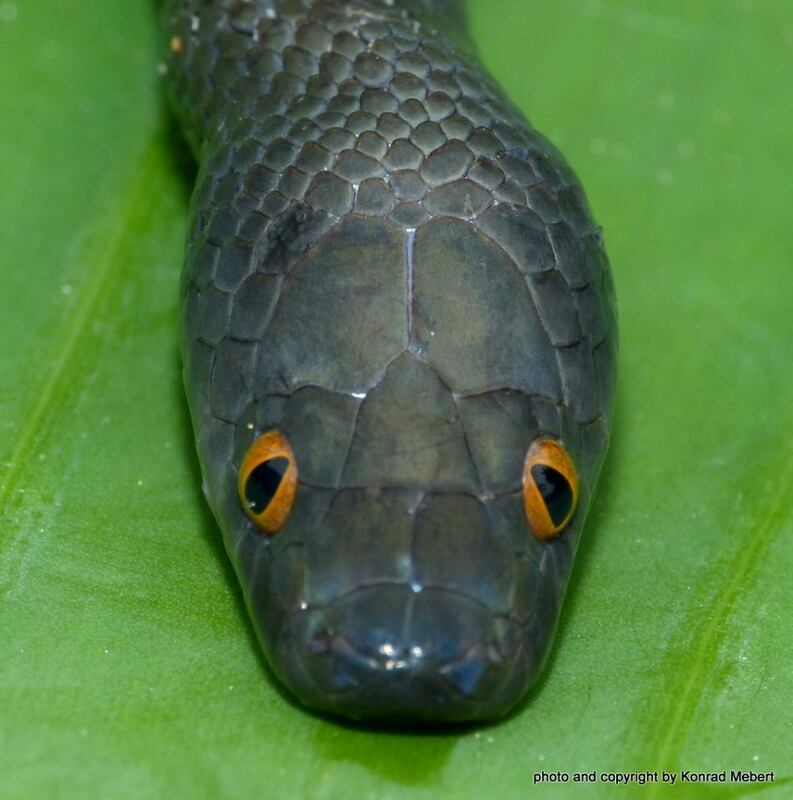 Notes on two rare house snakes – Part 2: The generic status of Lamprophis fiskii Boulenger (1887) and Lamprophis swazicus Schaefer (1970). Journal of the Herpetological Association of Africa 21:31-37. This article will soon be available in Spanish! Snakes have a lot more bones than we do, but they have a lot fewer types of bones. Aside from a few boas, pythons, pipesnakes, and blindsnakes with vestigial femurs, most snakes just have a few hundred vertebrae with one pair of ribs each (except in the neck & tail), and a skull. The snake skull is a remarkable structure. Snake skulls are highly kinetic, with a lot more moving parts than our skulls. Human skulls have just one movable part: the temporomandibular joint, which opens and closes your mouth. Snake skulls have many joints and moving parts; they can move the left and right sides of their jaws independently, as well as the outer (maxilla) and inner (palatine+pterygoid) parts of their upper jaws. Many bones that are tightly knit together in the skulls of most animals are loosely connected by stretchy ligaments in snakes, allowing them to stretch their jaws over huge prey (pardon the goofy music in the linked video). Contrary to the popular phrase, snakes cannot actually "unhinge" their jaws (Harry Greene explains this very well in this video). The right side of the skull of an alethinophidian snake (nose pointing to the right). Bones with teeth are the maxilla (mx), palatine (pal), pterygoid (pt), and dentary (d). From Cundall & Irish 2008. For a key to all abbreviations, click here. The bones or parts of bones that are shaded are not present in all snake species. Most snakes have teeth on four pairs of bones, two of which are the same as pairs of bones where humans do: the maxilla (most of our upper jaw) and the dentary (our lower jaw). In addition, almost all snakes have teeth on two bones that in humans form part of the roof of the mouth: the palatine and the pterygoid1, which are connected one in front of the other. This means that snakes have two upper jaws on each side: an outer one (the maxilla) and an inner one (the palatine+pterygoid). If a snake has fangs, they are always on the maxilla2. Some snakes, such as pythons, also have teeth on the premaxilla, where we humans have our incisors, although in most snakes the premaxilla is a part of the snout, has no teeth, and does not act as part of the jaws. The right half of the skull of a snake, looking up from the bottom (nose pointing to the right). Bones with teeth are the maxilla (mx), palatine (pal), pterygoid (pt), and dentary (d). The premaxilla (pmx) has no teeth. From Cundall & Irish 2008. 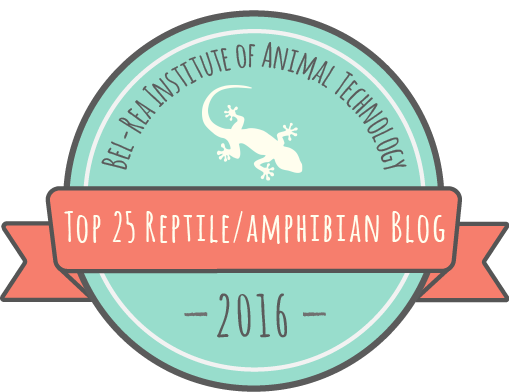 For a key to all abbreviations, click here.The bones or parts of bones that are shaded are not present in all snake species. You can sometimes see this pattern of tooth marks left behind when a non-venomous snake lets go after biting something, and in fact many resources suggest that you can use the tooth pattern to determine3 whether or not a bite has come from a venomous snake (a viper at least, which are responsible for >99% of venomous snakebites in the USA), since most dangerously venomous snakes have different tooth patterns on account of their fangs, and most of their non-fang teeth don't usually come into contact with the target. I mentioned above that fangs are always on the maxilla, and that's because the maxilla is the primary prey-catching bone in the snake skull. As far as we know, fangs evolved only once, as enlarged teeth at the back of the maxilla in the ancestor of all living colubroid snakes about 75 million years ago. In many living species of snakes, this is still the situation, and the vast majority of these are not dangerous to humans (although some can inflict painful bites if allowed to chew for a few minutes, and a few can be deadly). In at least three cases (vipers, elapids, and atractaspidids), the fangs have moved up to the front of the maxilla, through the developmental suppression of the front part of the maxilla (and its teeth) in the snake embryo. I covered this and the evolution of grooved and hollow fangs in more detail in my article about snake fangs. The right half of the skull of a snake, looking down from the top (nose pointing to the right). No teeth are visible. From Cundall & Irish 2008. For a key to all abbreviations, click here.The bones or parts of bones that are shaded are not present in all snake species. Although most people are most interested in the teeth and fangs, the rest of the snake skull is no less fascinating. The outer and inner upper jaw are connected by a toothless upper jaw bone called the ectopterygoid, which works like a lever to transfer muscular power from the muscles attached to the pterygoid out to the maxilla, which has no muscles of its own. When a snake is eating, the entire upper jaw (inner and outer parts) is raised and moved slightly backward, alternating the left and right sides and pulling the prey into the mouth: the characteristic "jaw-walking" or "pterygoid walk" motion of feeding snakes. So, the front of the pterygoid is attached to the back of the palatine, the ectopterygoid hangs off the outside of the pterygoid, and the maxilla hangs off of the other end of the ectopterygoid. In vipers, whose fangs fold, the maxilla and its fang are pushed forward by the ectopterygoid and pterygoid. of the upper jaws of a viper. Abbreviations as above. From Kardong 1977. Amazingly, in most snakes there is no direct connection between the upper jaws and the braincase4. Instead, the palatine and maxilla are connected to the braincase by long ligaments, which give them great freedom of motion. The front end of the palatine is connected more firmly to the snout, albeit still with some freedom to move. The rear end of the maxilla is also connected by a ligament to the lower jaw. It's really the movements of the palatine and pterygoid that swallow the prey. The lower jaws mainly press the prey against the upper jaws, and the teeth on the dentary and maxilla rarely contact the prey and play little active role in swallowing. The lower jaws or mandible participate in the process of feeding as well, and unlike in humans they have a loose attachment of the lower jaws to each other at the front of the dentary bones. The dentary bones are connected firmly at the back to the articular bones, which are connected to the quadrate bones at a flexible joint, which are connected to the back of the braincase by the supratemporal bones, also at a somewhat moveable joint. Together with the flexible palato-maxillary apparatus ("upper jaws"), this three-part lower jaw allows snakes to open their mouths very wide, walk their heads over, and consume things that are as big as they are without breaking them into smaller pieces or using their non-existent hands. The quadrate also attaches to the columella, which is the sole inner ear bone in reptiles; thus, the lower jaw also conducts sound to the ear. So there you have it. 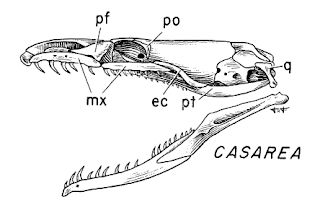 The snake skull is divided into four functional units: the braincase, the snout, the palato-maxillary apparatus ("upper jaws") and the mandibular apparatus ("lower jaws"), each of which can move independently (well, except for the braincase, which is relatively stationary). The upper jaws are divided into two partially separated structural-functional units, a medial swallowing unit and a lateral prey capture unit, both of which work with the lower jaws to accomplish their tasks. From Frazzetta 1970. 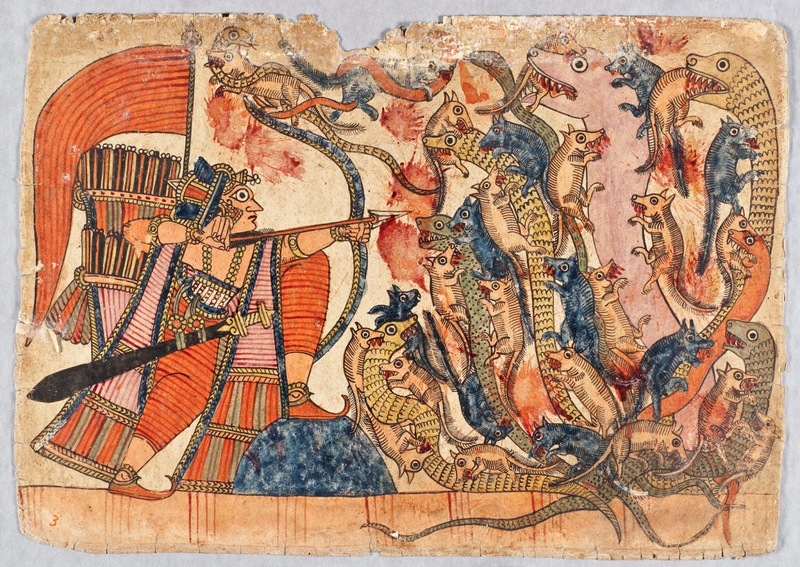 Click for larger size. 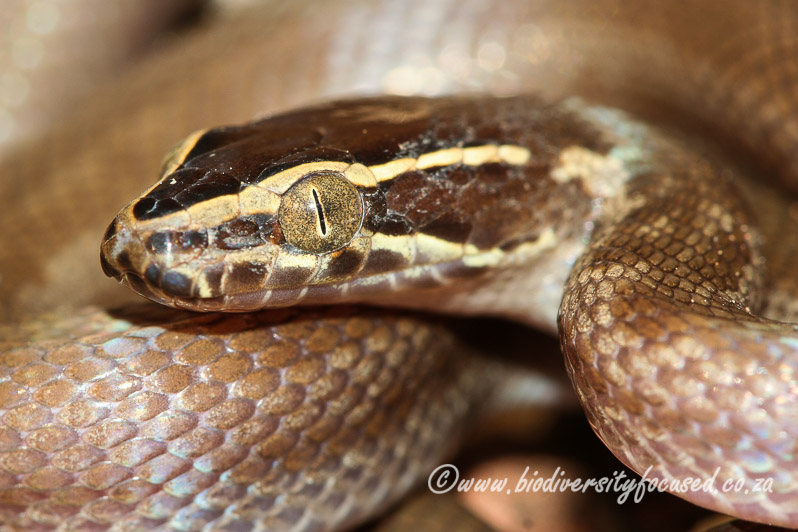 A quick note about a special case: one of my favorite snakes, and one of the first I wrote about on this blog, Casarea dussumeri, are often called Round Island boas, although I chose to use the more apt "splitjaw snakes" in my article. 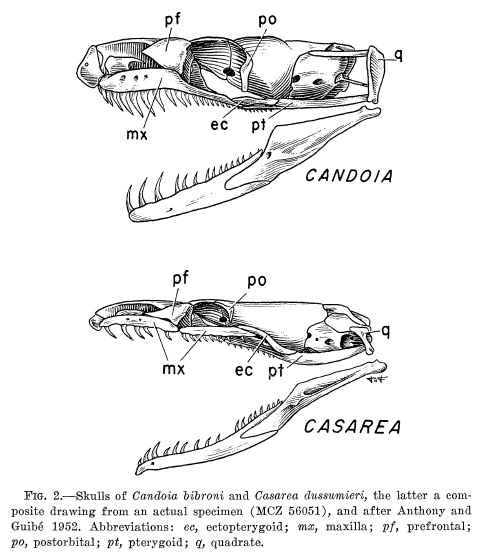 As if the usual kinesis of the snake skull isn't enough, these snakes have a maxilla that is uniquely subdivided into two movable parts, called the anterior and posterior maxilla. The anterior maxilla has 10 teeth and the posterior maxilla has 12. It is thought that the divided maxilla evolved through incomplete development, because the maxilla of other snakes forms in two parts before fusing together in the embryo, and the function is thought to be to help Casarea encircle hard, cylindrical prey such as skinks. We still have a lot left to learn about snake skulls. We didn't even cover half of the bones in this article. You don't actually so much find snake skulls as you do carefully prepare them. The individual bones are so small and light and fragile that they tend not to fossilize well, nor can they easily be found among the other bones of a snake's skeleton. Even normal cleaning and preparation methods can damage the fragile bones of tiny snake skulls. Thus, there is much left to discover about how they work! Skull of Natrix natrix from Andjelković et al. 2017. Mobile connections marked with red dashed arrows and circles.Paired bones are shown in yellow (pa – palatine, pt – pterygoid, ec – ectopterygoid, mx – maxilla, st – supratemporal,q – quadrate, cp – compound bone, d – dentary, pf – prefrontal), unpaired bones are shown in green or grey (pmx – premaxilla, na – nasal, b – braincase, smx – septomaxillae & vomers). Thanks to gibby for the use of their photograph. Albright, R. G. and E. M. Nelson. 1959. Cranial kinetics of the generalized colubrid snake Elaphe obsoleta quadrivittata. I. Descriptive morphology. Journal of Morphology 105:193-239. Albright, R. G. and E. M. Nelson. 1959. Cranial kinetics of the generalized colubrid snake Elaphe obsoleta quadrivittata. II. Functional morphology. Journal of Morphology 105:241-291. Cundall, D. 1983. Activity of head muscles during feeding by snakes: a comparative study. American Zoologist 23:383-396. Cundall, D. and H. W. Greene. 2000. 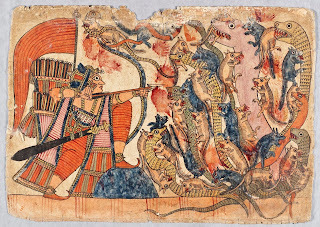 Feeding in snakes. Pages 293–333 in K. Schwenk, editor. 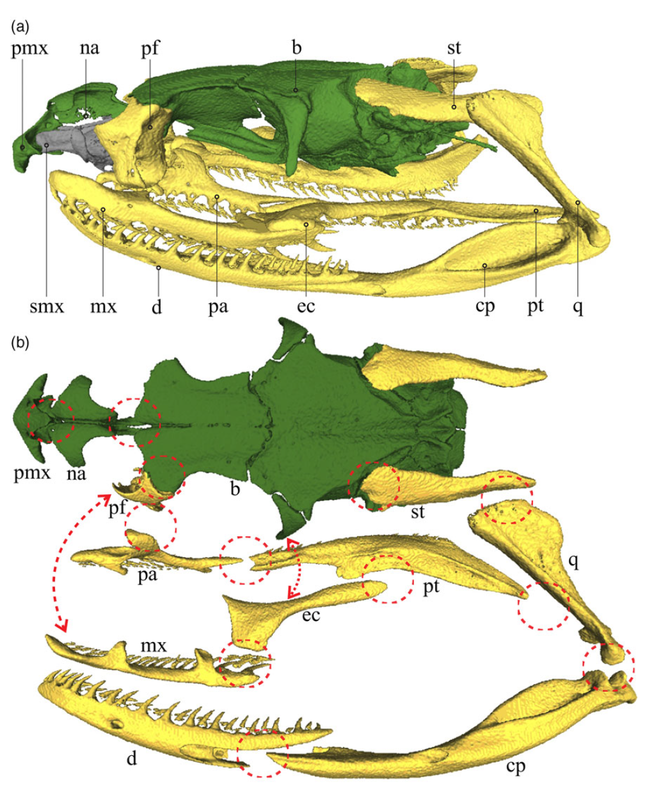 Feeding: Form, Function, and Evolution in Tetrapod Vertebrates. Academic Press, San Diego, CA. Irish, F. and P. Alberch. 1989. Heterochrony in the evolution of bolyeriid snakes. Fortschritte der Zoolologie 35:205. Kardong, K. 1974. Kinesis of the jaw apparatus during the strike in the cottonmouth snake, Agkistrodon piscivorus. Forma et functio 7:327-354.